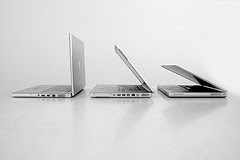 The Weisz Teacher's Blog: Hooray - Laptops are ready! 1. Charge your laptop overnight. 2. When the bell rings your laptop should be powered on, and you should be on our homepage (this page) in your Firefox browser. 3. When the bell rings your laptops should be in what I call the "closed" position - which means almost but not quite closed. That way they are ready to go, but I have your attention at the beginning of class. 4. Any student may leave their laptop in my classroom overnight to charge if they don't want to take it home. 5. Only go to sites I have directed you to during class - failure to follow this direction will result in you losing the use of your laptop for that class period. 6. On many sites we link to and even on our own class sites, we can't escape advertisements. NEVER NEVER NEVER click on ads! I can't make it any clearer than that! Those are some basics for now. We are starting out with small steps in the use of the laptops and these sites - soon students will notice that we are doing less and less work with paper and pencil (although it won't go away entirely!). I am excited for all we will be able to learn with these laptops this year!